Knights of the Old Republic, the 2003 Star Wars RPG from BioWare, has been confirmed for the iPad in an rather unusual way. 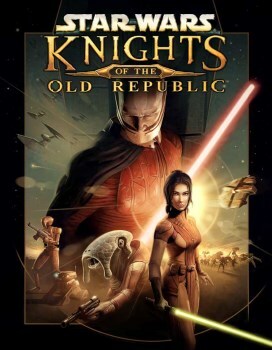 A rumor that the much-loved Star Wars: Knights of the Old Republic was being ported to the iPad began making the rounds last week, driven by what appeared to be an erroneous promotional email sent out by Aspyr Media, the company that just happened to port the game to the Mac back in the day. No confirmation or denial was forthcoming from Aspyr, BioWare or anyone else, however, and like most wild and crazy rumors, it was quickly forgotten. There's still been no official confirmation, but there's also no longer any doubt that it's happening thanks to a review of the game that appeared today on IGN. The game has apparently held up quite well over the years and the iPad port is very solid, although moving around can be a bit of a hassle; the review describes the movement controls as "clumsy" but adds that "most of its changes are for the better." The important thing is not the review score (and let's face it, you'd have to work pretty hard to botch KOTOR) but the fact that the review exists at all - because that means the game exists, too. It doesn't appear to be on the App Store yet and we obviously don't have any information on pricing, but with a review now live you can expect it to turn up soon. UPDATE: And here it is on the App Store for $9.99. Enjoy!